In Spider-Man: Homecoming, Spider-Man’s suit is built by Tony Stark, which means it has tons of new features and upgrades—more like Iron Man’s get-up than the Spider-suit we’re all familiar with. On our set visit, we learned a lot more about the superhero’s new outfit. Like, for example, Peter doesn’t even know about the suit’s high-tech features at the start, because Stark has implemented a “Training Wheels” protocol. It also has an onboard artificial intelligence, kind of like JARVIS, complete with a holographic interface. Plus, the spider logo on his chest becomes a surveillance drone, he can shoot multiple kinds of webs, the eyes on the mask have different functions, and more. This is something fans have seen before. A few years back, Peter Parker developed a new, upgraded suit in the comics that had a few of these functions. You can read more about that here. But in Homecoming, it’s much more than that and, for fans who don’t read the comics, it will be a pretty big deal. So, we decided to give it a bit more space. You can read about the full set visit here but, below, we found out how the suit fits in, why it happened, and a few more details. We’re going to talk about some plot points here so, we’ll drop this in. According to producer Eric Carroll, at some point in the movie, Peter realizes that Tony Stark can track him via the suit. That’s why, as you see in the trailer, he reveals to his friend that he’s Spider-Man. He’s hoping his friend can help find the tracker on the suit. However, in doing that, Peter discovers that Stark had secretly given the suit this Training Wheels protocol—and once that’s off, the suit reveals a huge number of new features. He figures out it has a heater, which might have come in handy in the other ones. He finds out that it lights up. At an inopportune time, he finds that out. At one point, the Spider logo on his chest goes [makes motion with hands] and floats off and starts giving him surveillance data, and he’s like, ‘What?’ In fact, that startles him when it happens because he didn’t even know that would happen....Long story short, we tried to look through the comics and pull out all of the sort of fun and wacky things that Steve [Ditko] did, which seemed even harder to explain when he built it in his own bedroom. So, like, there’s an airbag at one point. What else? There are different sorts of webs that he can unlock, too. He has one that can sort of tase people. One that shoots multiple webs at the same time out of one wrist. like, it shoots in two or three different directions. 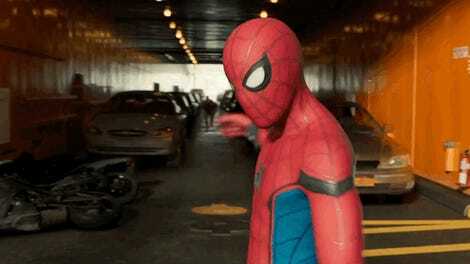 The suit’s abilities continue to help Peter throughout the story, especially with “detective work,” as Carroll called it. 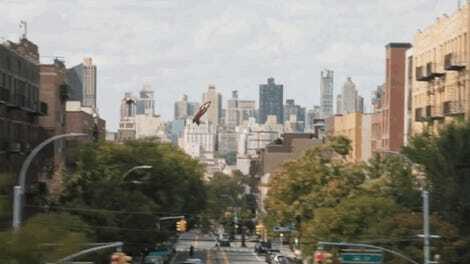 For example, Peter taps into them to get to the Washington Monument, where his classmates are in danger. They’re on an elevator and his AI tells him, “The safety systems will definitely fail in the next 10 minutes.” So he knows he doesn’t have much time to save them. One of the differences I think, pretty much in bringing Spider-Man to the MCU, is the sort of tech spin. Whereas, in the other Spider-Men, you sort of dealt with, like, science – not that science and tech have to be completely divulged. But it was sort of like, scientific accidents gave almost everyone their powers in all five of the previous ones. So when we looked to reinvent the movie, we looked at what sort of tact we could take. And one was that all of the MCU movies try to have this quasi-plausibility, you know what I mean? As much as we can… we try to make it feel like the world we live in. And we felt like if a kid is running around in a skin-tight suit with all of these cool features, it’s probably going to be pretty high tech. Star Tom Holland has a favorite upgrade, too, and it’s one that Carroll didn’t mention. There’s a very funny sequence in the movie because of something he can do with his vision in the suit. He can sort of alter what he sees and how he sees things, and it’s really funny to see. It’s almost like the first time you play a video game and the controls are all funny, and it’s really funny seeing him look like a badass, but inside panic and not know what to do. So without giving anything away, that. Yeah, this is not a Spider-Man filmgoers are going to be familiar with. And that was exactly the point. 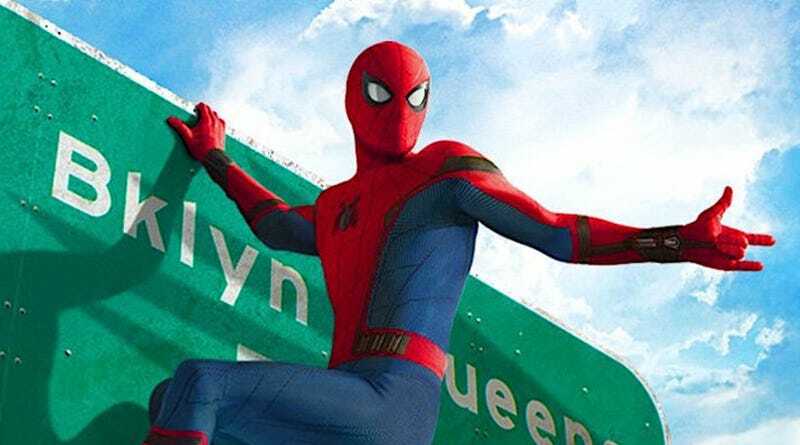 Spider-Man: Homecoming, complete with the new suit, opens July 7.